Your teen could face serious penalties if he receives a traffic citation in North Carolina, especially if he is driving on a provisional license. This can include a jail sentence, fine, and suspension or revocation of his driver’s license. In addition, he could have points added to his driving record and increased insurance costs. However, you can help lessen his punishments if you take the proper steps right away. Retain an attorney. An experienced Charlotte traffic ticket attorney can help your teen build a defense that can result in the ticket being dismissed or reduced to a less serious infraction. He can also attend required court hearings on behalf of your child, which is required for many traffic offenses in North Carolina. Attend traffic school. Attending traffic school again can improve your teen’s driving skills and help reduce the consequences he faces. However, taking a traffic school course does not always help, and it is best to consult with your traffic ticket lawyer before making a decision to enroll him in one. Discuss safe driving. It can be a good idea to discuss how to be a safe driver with your teenager so that he learns from his experience. 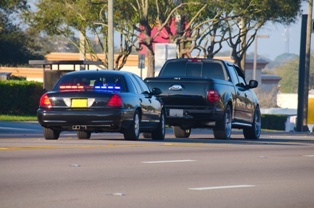 Depending on the seriousness of the ticket, you may want to impose some other discipline, such as reduced driving privileges for a period of time. Monitor his driving. If you are worried about your son’s or daughter’s safety, you can have an app installed on their cell phone to monitor their driving. Be a good example. It is important that you provide a good example by following traffic laws and being a safe driver yourself. If your teen received a traffic citation, our experienced Charlotte traffic ticket attorneys can help him achieve the best possible outcome in his criminal case. Call our office to schedule a free case evaluation to learn more about his options and how we can help.